St. Paul, Minn. – The American Sociological Association: Sociology of Law Section has given its Undergraduate Paper Award to Mary Pheng of Richfield, Minn., a 2013 Macalester Sociology graduate. 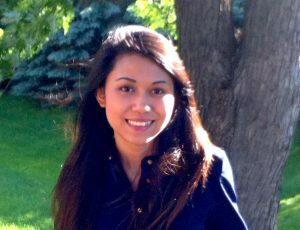 Pheng received the award for her paper “The Bureaucratic Savior: How Human Service Professionals Allocate Rights to Noncitizens.” The award will be presented during the annual meeting of the American Sociological Association this August in New York. By drawing on interviews and observations from a diverse array of human service organizations to understand which noncitizens these organizations serve, Pheng’s paper makes a strong case for understanding how human service organizations serve as gatekeepers to social citizenship for noncitizens in the United States. The interview data illuminate a fascinating process through which relatively limited restrictions on the rights of noncitizens (what some observers may characterize merely as symbolic limitations in federal policy) end up constraining actual service provision even when federal regulations do not apply. Using a diverse range of sociolegal theory on citizenship, liberalization, and organizations, Pheng’s paper demonstrates her theoretical ambition and sophistication, as she develops ideas to generate insights into the subtle but far-reaching consequences of anti-immigrant sentiment. The American Sociological Association is the professional organization of sociologists, having over 14,000 members. The association is dedicated to advancing sociology as a scientific discipline and developing the profession to serve the public good. The Sociology of Law Section provides a forum for intellectual and personal exchange among sociologists interested in the study of law, legal institutions, and law-related structures and processes.